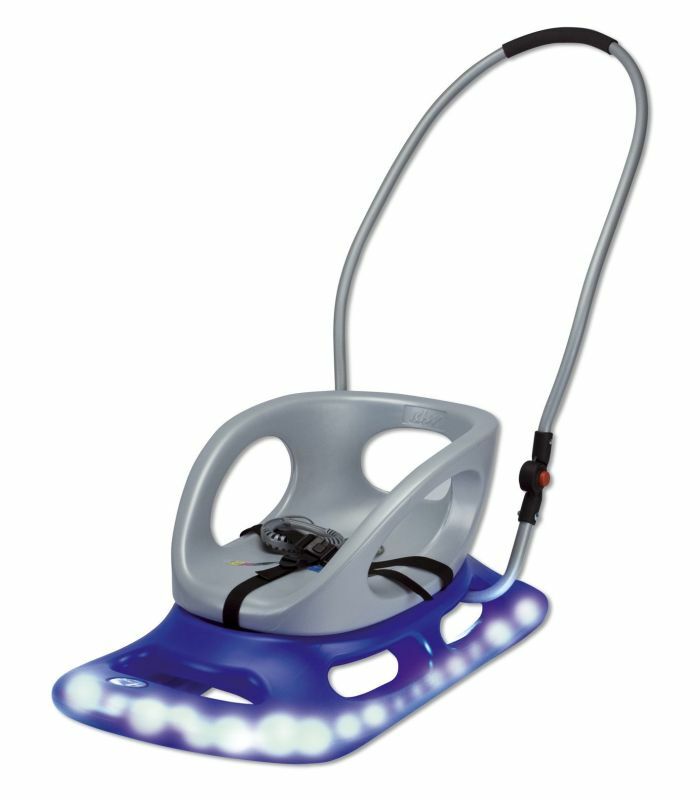 Built in Illumination! Handles fold and lock for stowage. 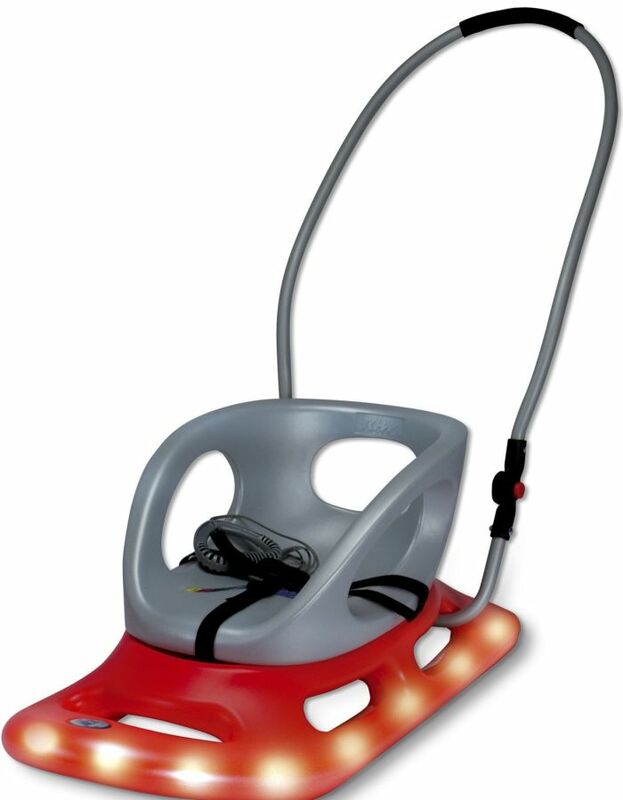 “RUNNING LIGHTS” on babies first sled; integrated safety belt on seat.